Your event’s lighting creates the ambiance, focuses the attention, and is fundamental to your aesthetic design. Do not overlook this important tool! 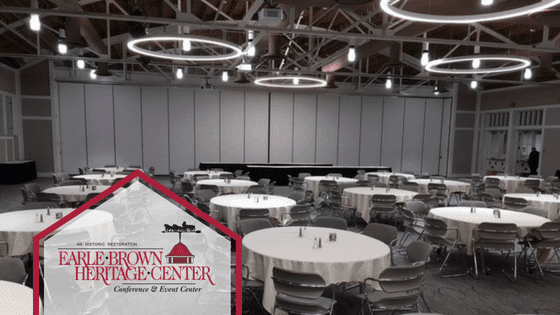 The lighting in Earle Brown’s ballroom is spectacular, but there is even more you can do to enhance the look of your event! The most popular lighting effect used in designing is up-lighting. This is where lights beaming upward are placed around the perimeter of the room. You can even choose colored lighting that aligns with your wedding theme or company’s brand! Projecting Gobo’s across the walls of your event can bring energy and design to any room! These are especially useful for large ballrooms and empty spaces lacking visual interest. The metal stencil that covers the light to create a design can be formed to be anything – an ornate pattern or a company logo. With the introduction of LED’s, lighting is cheaper, brighter, and more versatile than ever before. Using LED lighting for your event will broaden your options with lighting design and cast a welcoming light over all your guests. Possibly the most useful lighting effect of all, the stage wash highlights the table for your wedding party or the stage for your speaker so everyone in the room can clearly see. This broad beam of light cast across the stage makes sure the focal point grabs everyone’s attention. Pin-spotting is taking single beams of light and placing them to strategically highlight one thing. Often, these are used to light up centerpieces or display tables, but they can also be used to highlight a room’s architectural features. This effect really upgrades the look of your event for not a lot of money! 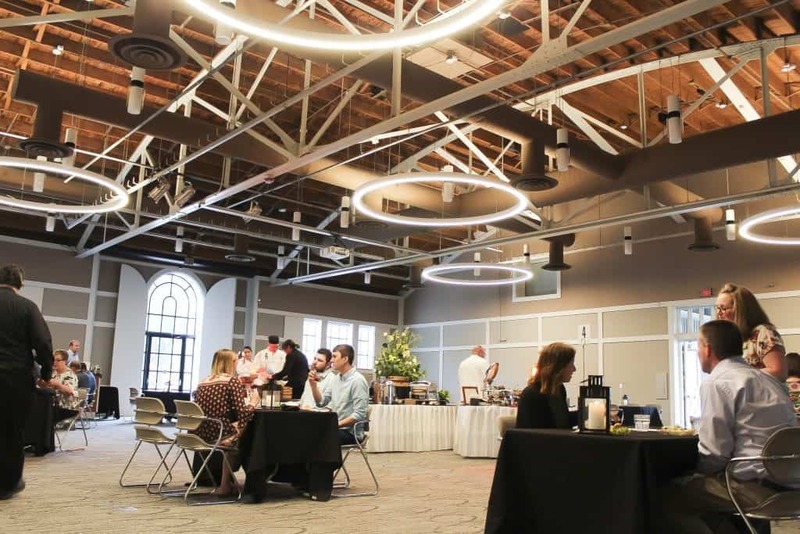 At Earle Brown Heritage Center, we recently updated our lighting with large round lights that add a modern look – especially in Carriage Hall. Enhance your event by paying attention to the lighting and utilizing these ideas in your design!